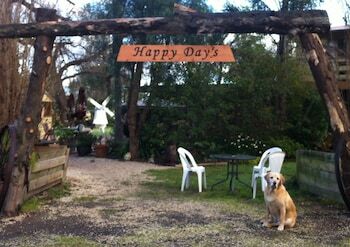 With a stay at Happy Days Accommodation in Tinamba, you'll be within a 10-minute drive of Maffra Visitor Information Centre and Gippsland Vehicle Collection. The front desk is staffed during limited hours. Free self parking is available onsite. Located in Norman Gardens, Winter Sun Motel is a 3-minute drive from Stockland Shopping Centre and 6 minutes from Central Queensland University. Free self parking is available onsite. When you stay at North Star Inn in Melrose, you'll be 8 minutes by car from Bartagunyah Estate. With a stay at Foxwell Park Lodge & Restaurant in Peeramon, you'll be within a 15-minute drive of Curtain Fig National Park and Malanda Falls. Free self parking is available onsite. Located in Muswellbrook, Baybrook Motor Inn & Apartments is within a 15-minute drive of Muswellbrook Golf Course and Pukara Estate. Free self parking is available onsite.